This is 1 of 100 Billy Beer "one-packs" I made for one-hundred empty Billy Beer cans. Each box has the potential of displaying in numerous combinations because of various packaging flaps incorporated into the piece. One might view it as an interactive collage exploring the values of unbridled consumption and empty aesthetics. 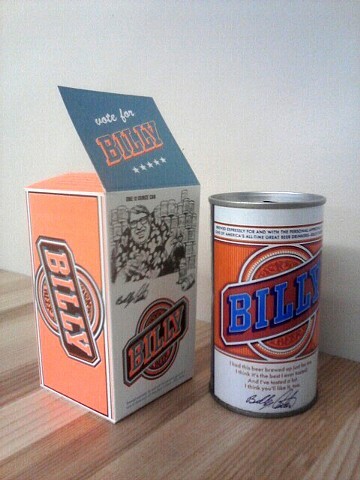 Between 1977-78, at the height of the Carter Administration's popularity with the masses, Billy sold over 2 billion cans. Then the fall of the Shah occurred. The USA hasn't been the same since.